I would agree with you. The most important evidence for the truth of Christianity is the transformative effect it has on the lives of its adherents. There are some questions science will always struggle with – chief among them – why is there something rather than nothing? Fantastic article Ruth, spot on. The righteous shall live by faith in the finished work of Yeshua, and as you rightly pointed out, the change for the better, thanks to the miracle of salvation in people, is evidence that He is who says He is – the Son of God and God Himself. Also the miracles that happen today when we call on His Name attest to veracity of His assertion. Atheists are making even more desperate attempts to disprove God’s existence as evidence mounts up – indeed it is all around them, if they care to look (Romans 1). One respondent pointed out that Gödel’s Incompleteness Theorem might even take that much away from us! The point, of course, simply serves to bolster your argument that what we want in Christianity and science is good reasons for belief. You’re quite right to suggest that “good reasons” vary depending upon the belief under consideration – for those interested in reading more Alister McGrath offers a discussion of the notion that “ontology” (the nature of the thing being studied) determines “epistemology” (how that study should be carried out) in A Scientific Theology: Volume 2, Reality. (3 vols. Edinburgh: T. & T. Clark, 2002), 218-19, 223. See also the very brief (one paragraph) summary in McGrath’s The Science of God: An Introduction to Scientific Theology ( London: T. & T. Clark, 2004) p.107. Hi Ruth, A great analogy. I would cut out the bit about science only disproving. Popperianism used to flourish but scientific reasoning is much broader than falsification. Further if you pushed falsification too far then faith in God would falter, for there is plenty of contrary evidence to trust. In fact Christian faith is to trust God despite (not because of) the evidence (Hebrews 11 – where the people of faith continued to trust in God’s faithfulness in spite of contrary circumstances. We trust a person, we do not just assent to a series of provable propositions. Shalom Alan Gijsbers. President ISCAST. I very much like the question that launches your essay – What do science and Christianity have in common? Alister McGrath sees “meaning” as the key link – both science and religion in general, and Christianity in particular, are interested and committed to “meaning”. i.e., Scientists do not just collect facts, e.g., molecules, but rather collect facts about molecules in order to make sense of reality, to find the meaning of those molecules, in this case the molecules that make up and are DNA, and which then make sense of, give meaning to life processes. So with Christianity. We do not just collect facts from the Bible, from Christian history, and our own lives. We collect the facts in order make sense, to develop meaning. More could be said. I will leave it here and encourage everyone to get McGrath’s book. Absolutely agree with the transformative power of Christianity. However, the Book of Life (like DNA) requires lots of energy to transcribe into thought and translate into action, so I find it helpful to think of the two Testaments in terms of ‘complementary verse pairing’ (e.g. Luke 4:1-21). The New Testament definitely requires a paradigm shift (Thomas Kuhn), but the Old Testament (stretching a metaphor – its anti-parallel strand) makes claims regarding the dispersion (Deut 28:64), survival (Jer 30:11) and achievements (Gen 12:2) of the Jewish people which are potentially falsifiable (Sir Karl Popper), and to which numbers (and genes!) can be attached. (Both Kuhn and Popper were, incidentally, Jewish). So, given St Paul’s admonition to “Test everything” (1 Th 5:21), what’s the evidence? Well, DNA and the Jewish scientists who studied its structure are a great start. Phoebus Levene (1869-1940) discovered ribose, deoxyribose, the nucleic acid bases (A,T,G,C), and their phosphate-sugar-base linkage, having fled anti-Semitic pogroms in Russia in 1893. Erwin Chargaff (1905-2002) established the universal ‘Rules’ of base-pair ratios (A:T, C:G) after leaving Europe when Hitler rose to power – his mother was deported from Vienna ‘into nothingness’ in 1943. And it was Rosalind Franklin (1920-1958) – kept safe in England by Churchill’s ‘Few’ – who provided the superb X-ray crystallography which revealed DNA’s helical structure (see YouTube link below). Franklin’s early death precluded her Nobel Prize nomination, but 22% of all Nobel Laureates between 1901 and 2010 have been Jewish. It’s enormously significant that these discoveries occurred in the shadow of the European Holocaust – an event which represents the total negation of Judaeo-Christian values – particularly the belief that all human beings are dignified with the image of God. 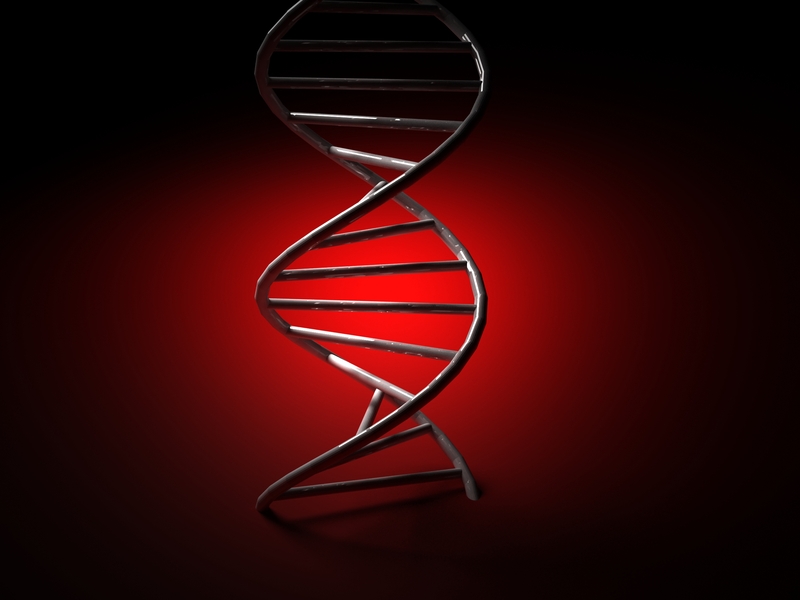 As Ruth implies, Jesus – like DNA’s double helix – can’t be directly observed. However, He was born and died ‘King of the Jews’ (Matt 2:2;27:37) – the people from whom salvation was to come (John 4:22). So what I think links Christianity and science are the Jewish people. Their epic history is of Biblical proportions, and the achievements of their scientists in the moral context of the 20th century is simply astonishing. Hi Ruth, It’s a great example of ‘faith’ in science – thanks for sharing it. “For me the most important evidence is the way in which God changes lives.” I would express this in a different way. It’s the most important outcome of the fact that Christianity is true. But this is a subjective assessment – many Muslims would say the same thing about Islam and its effect on their lives -and of those they know. So I’d rather say that *as* the evidence shows Christianity is true, so we would expect it also to change the lives of believers. The difference to Islam etc. is that for them the other evidence doesn’t show them to be true and so any apparent life change is purely psychological (or at least is not due to the overall truth of their beliefs). So: From the evidence, Christianity is true. Because its true, it changes lives. Because it changes lives, its relevant – and good news. I found Test of Faith website because a friend had posted An Atheist’s song on his FB wall with Steve Martin. I had been researching and questioning months ago Apologetics websites to better explain religion and science working together as some ppl I have spoken with said they quit believing when their teachers in college taught them that faith had no place with evolution, which I knew wasn’t true. Somehow Steve Martin posted a link to this site. God works in mysterious ways:-) Thanks for your articles!